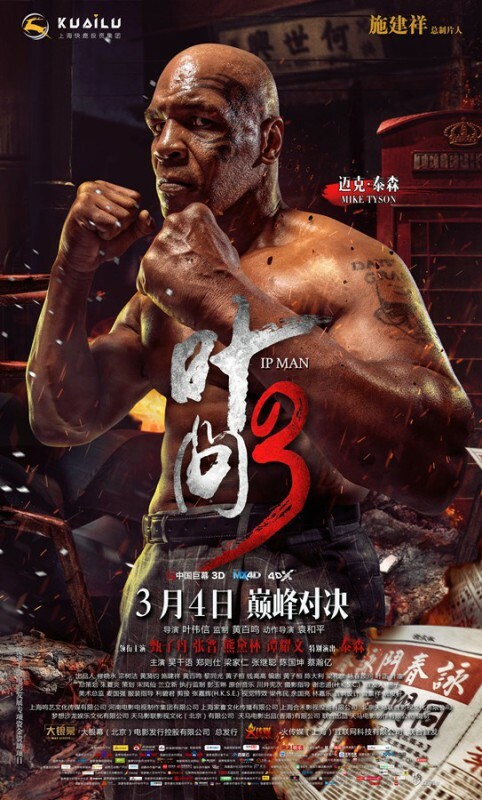 IP Man 3 comes highly anticipated following on from the Cult 1st film and fun sequel, can the third installment reach the levels of its predecessors, or will it be time to say no more man? 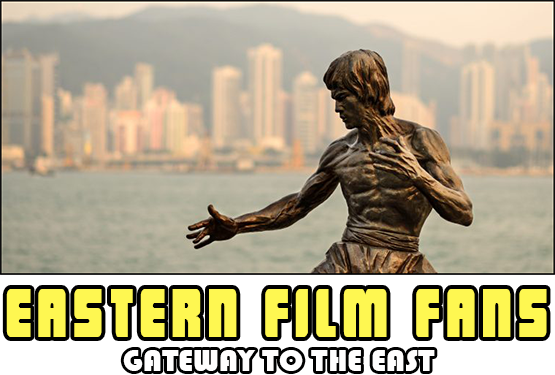 Its 1959 and Ip Man (Donnie Yen) is introduced via Bruce Lee (Danny Chan) who wishes to learn Wing Chun from Ip Man, after a brief encounter and kicking butts (the cigarette kind) its a case of be Water my friend and things move onto Ip Man and his family. 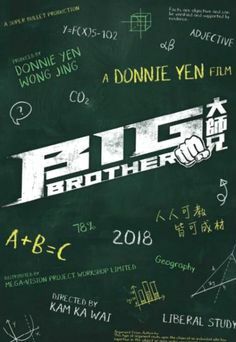 Ip Man gets involved in protecting the local primary school that his son Ip Ching attends, after the local thug Frankie Mike Tyson looks to take over the school by fair means or foul so he can take the land its stands on. With the help of his students and the Cheung (Zhang Jin) Ip Man saves the school and makes an enemy of Frankie and his thugs. 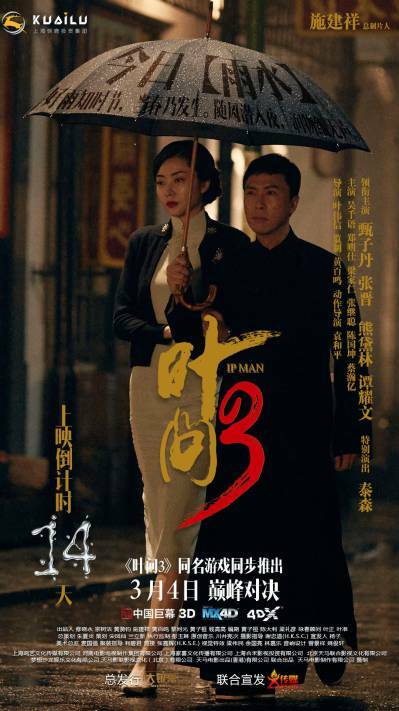 Ip Man not only has to save his son and the school from Frankie's thugs but also his wife Wing-Sing (Lynn Xiong) is ill and he must juggle not only the care for his wife but the ever increasing violence against the school. Meanwhile Cheung who is a Wing Chun practitioner wants to challenge Ip Man so he can prove his Wing Chun is the most effective and makes plans to force Ip Man into a fight to see who will be the Master of Wing Chun. 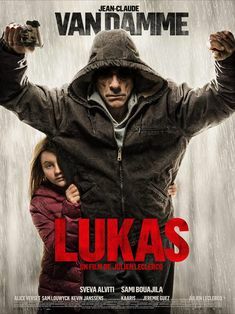 As with the previous installments there's plenty of fights, highlights being Ip Man's fight with a Thai fighter in a lift and his one on one with Mike Tyson which matches Mikes powerful boxing style against Ip Mans Wing Chun which is a real pleasure to watch. 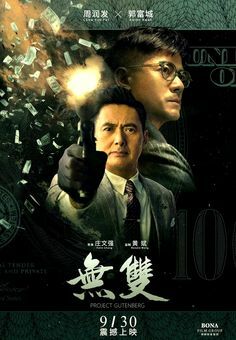 The film is peppered with other fights and the final fight between Ip Man and Cheung is worth the wait. 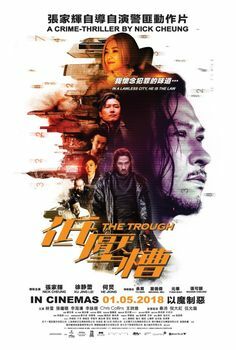 Zhang Jin really does prove a worthy opponent and almost steals the film from right under Donnie Yen. 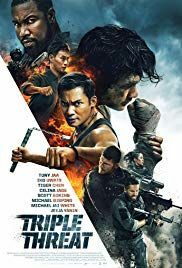 What does make this a Donnie film is the fact that without having to over stretch and just be the righteous Ip Man he deals with what could have been over melodramatic, Donnie reigns it in and gives a fine measured performance. Ip Man 3 tops the sequel (Ip Man 2 review here) but just doesn't quite hit the heights of the first one, Forget the historical inaccuracies, the Ip Man or Bruce lee dancing moments 😉 and sit back and enjoy the Martials Arts of Wing Chun as its beauty and motion combines with power and technique to One Inch punch you in the entertainment factor.